fever replied to iacas's topic in Balls, Carts/Bags, Apparel, Gear, Etc. Sorry for the delay responding, hockey tourney, I won't be able to hit any before purchase. A slight draw. Thank you very much. It's always native North American, never the arrow. I play with blades now, I only played 12 rounds last season ( first back in 8-10 yrs) went from 124 first round to 86's my final two rounds with no lost balls (a first) I think my ball striking with the blades is coming along good. The blades I have now are cast and I want to try forged. Hi, my name is Paul W and I have a problem! I have been bit by the golf bug again. The air here in tail pipe of North America (Atlantic Canada) has gotten better in the last decade due to all the plant closures in the mid west and southern Ontario. Sorry for all the people who lost their jobs with the closures, but our forest are coming back, cancer rates are slowly going down and we can breath again. all of them, but fourteen has a very small lead. What's Worse: 50 Yds Away in Rough or 100 Ft Putt? I like the look and feel of MB/blade, the small head size makes me concentrate on the shot at hand. I can't stand the look and size of SGI and GI irons. I can't hit an off set club, I hit behind the ball. Even a 2mm off set in the mid irons messes me up, So I'm looking at three sets !) Cobra FLY-Z Pro, $460 cdn,( great shape) they would need to be re-shafted and grips. 2) Fourteen golf FH-1000, $550 cdn (awesome shape, only used for2-3 rounds) has my spec shafts and grips. 3) MIURA blade, $760 cdn (good shape, used for two years) shafts are my spec but need to be re-griped. If you were in my position, what set would you buy? I would like to buy all three but my wife reminded me that we have been married for 33 yrs and would I like to make it to 34? so one set it is. Do You "Slow Drop" the Flagstick? I like it a lot, the weight is what made me want to try it and with the four alignment lines make it very easy to line up your put. Anybody Else Not That Interested in Premium Golf Balls? fever replied to inthehole's topic in Balls, Carts/Bags, Apparel, Gear, Etc. I have found after my 8-10 years away from the game is, most mid priced balls of today are better than the premium balls of yesteryear. 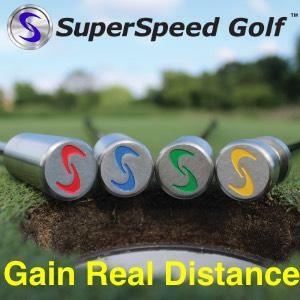 I don't think my game right now would benefit from a premium ball, but I have found a ball that has helped me go from low 90s to mid 80s and that ball is Wilson true distance soft.